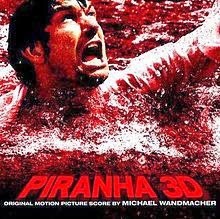 The most deadly Piranha 3D scene took more than 300,000 liters (79,252 US gal) of (fake) blood, which make this the bloodiest film in horror movies cinema history. This remake of Joe Dante's Piranha, like his illustrious predecessor, multiplies winks to past decades great horror films, by showing many great actors and notable stars such as Richard Dreyfuss (the biologist in Jaws), Jerry O'Connell (Sliders), Elisabeth Shue (Marty McFly's girlfriend - Back to the Future) or Christopher Lloyd (Doc, in the same Back to the Future). 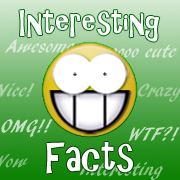 The story looks familiar: there are monsters, they are hungry and their diet substantially consists of humans. But humor and gore of the film allowed it to be fairly recognized in the world of cinema, with critics pretty good for an art project of this kind (73% according to Rotten Tomatoes, Fresh certified). And above all, the scene of the massacre with aquatic thousands of extras, holds alone the record for most pints of blood used in a film. All in 3D.